Tu B'Shevat is a Jewish holiday known as "New Year for Trees" or "Birthday of the Trees," a day that celebrates trees and taking care of our environment. 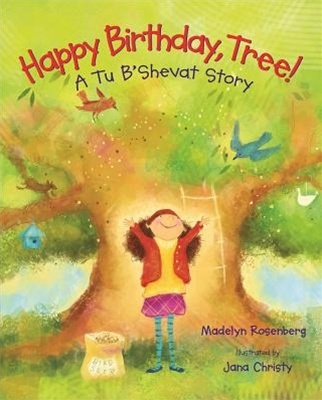 In this story, which takes place on Tu B'Shevat, a little girl named Joni presents her favorite climbing tree with a special birthday gift. Sammy Spider's First Tu B'Shevat Grandpa and Me on Tu B'Shevat It's Tu B'Shevat! Thank You, Trees!